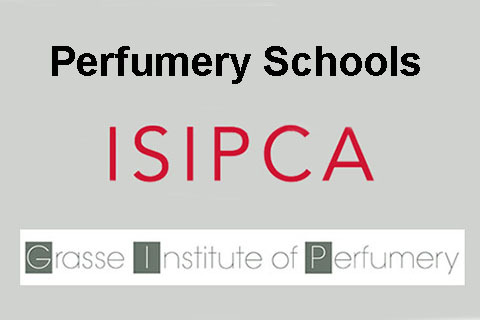 Many USA indie perfumers offer classes or internships for those who want to learn perfumery. Many more natural perfumers seem to offer these courses than perfumers who use combinations of naturals and synthetics. I can’t give a complete list here, but classes are given by natural perfumers Mandy Aftel of Aftelier Perfumes and Ayala Moriel of Ayala Moriel Parfums. Anya McCoy of Anya’s Garden and the Natural Perfumery Institute offers a home study course and textbook in natural perfumery and leads an online Yahoo Natural Perfumery Group. Charna Ethier of Providence Perfumes and Jeanne Rose, esteemed aromatherapist and author, also teach natural perfumery classes. Roxana Villa of Roxana Illuminated Perfume teaches classes in person and also offers an online program for learning natural perfumery. Jessica Hannah of jhannahco.com offers natural perfumery workshops in several locations, including the San Francisco Bay Area and Los Angeles. Eliza Douglas, a GIP trained perfumer, offers classes in Brooklyn, NY; she is a mixed media perfumer so you would have the opportunity to learn about both naturals and synthetics. (Even if you choose not to use synthetics in your blends, sniffing a full range of available synthetics and naturals helps educate your nose. You can also sniff natural isolates for aroma chemicals that are available in natural versions.) 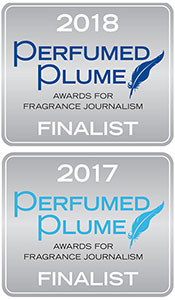 Many other indie perfumers offer classes, books, or internships, and you can find information on their websites. The Perfumer’s Apprentice offers introductory courses in perfume creation at their Scotts Valley, CA location that are open to the public. They also sell perfumery educational kits. Many indie perfumers are self taught, and there are even some very famous self-taught perfumers such as the much-loved and prolific Bertrand Duchaufour, the 2006 Prix Francois Coty award winner Lorenzo Villoresi, and one of the first very successful indies Any Tauer. Most small indie perfumers learn from a variety of sources — reading books, researching online, experimenting with ingredients, and joining online groups to interact with others who are also learning. Three online groups with lots of links to books/formulas/suppliers are the Yahoo perfumemaking group (for both mixed media and natural perfumers), the Yahoo Natural Perfumery Group, and the Basenotes DIY group. The Yahoo perfumery group is no longer very active but it has moved to a Facebook group also called Perfumemaking. I joined the Yahoo perfumemaking group very shortly after its inception. I was one of the few members of that original Yahoo group who was already in business when the group began, but it was nice to meet online with others who were learning about perfumery with the intention of starting businesses. We made friendships there that allowed us to buy kilos of ingredients together and split them before our businesses were large enough to need whole kilos. Today the Facebook version of that group is a place where you can post questions and receive feedback from other indies/artisans. An indispensable online reference for ingredient information is The Good Scents Company. Small quantities of ingredients (including synthetics) can be ordered from The Good Scents Company, The Perfumer’s Apprentice, Perfumer’s Supply House, and Creating Perfume. Hi my name is Linda, I am very interested in finding out if you have another class or seminar that I could be part of. I would like to schedule a seminar for myself and I might be able to have two other people come with me I like to know how much it is how many hours it is and if you have a class schedule I know that some months are better more for me than others so go from this is, I’m very interested in it it’s a lifelong dream of mine so if you can give me any information I would appreciate it.